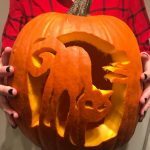 The busiest time of year just got easier! Our employees are full of holiday spirit at Union Hill and rounded up their favorite go-to gifts for anyone on your list. You can’t go wrong with this one. 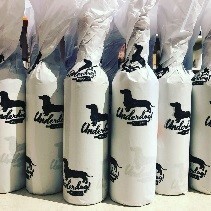 Underdog Wine Co.’s staff is extremely knowledgeable and can point you in the right direction under any budget. Plus, they offer gift bags. It’s truly your one-stop-shop! Packed with flavor, these cookies make great stocking stuffers, hostess gifts and are Santa approved. Who doesn’t love snuggling up under a nice, warm throw blanket on these cold winter days while sipping hot cocoa and watching movies on the Hallmark Channel? 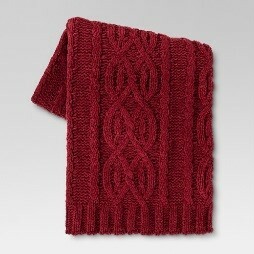 Chunky, cable knit blankets are a must. Find this one here. Support the makers and creators in Kansas City. Our city is filled with amazing local products for everyone on your list. A few of our faves – Christopher Elbow, Normal Human, Urban Provisions, Westside Storey, Do Good Co. and Mid Coast Modern. Bunker is our go-to for this one. It’s the gift they find hilarious, but would never buy for themselves. 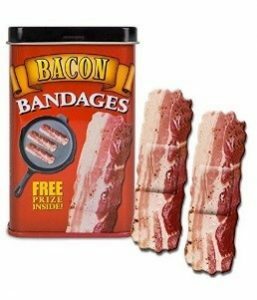 Bacon Bandages. Find them here. i.e. Boulevard’s seasonal brews, 1KC hoodie. The possibilities are endless. 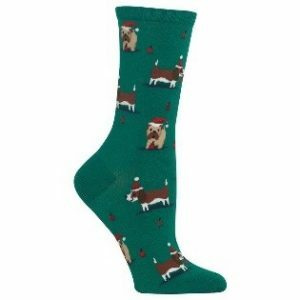 Because who doesn’t love a good festive sock. Buy 1 give 10! 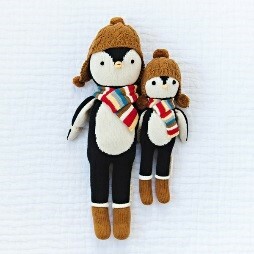 Cuddle and Kind donates 10 meals to children in need with every hand-knit doll purchase. This is a great gift for children. We all have those tricky people to buy for on our list. A gift card is a fool proof gift great for anyone. Consider purchasing a car detailing or car wash gift certificate, amazon gift card, Uber gift card, massage gift card or other spa treatments like mani/pedi or facials. 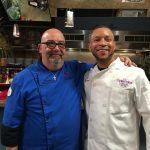 Utilize their social media pages like Facebook, Pinterest, Twitter and Instagram to see what groups they like and follow and what businesses they support. – Debbie.